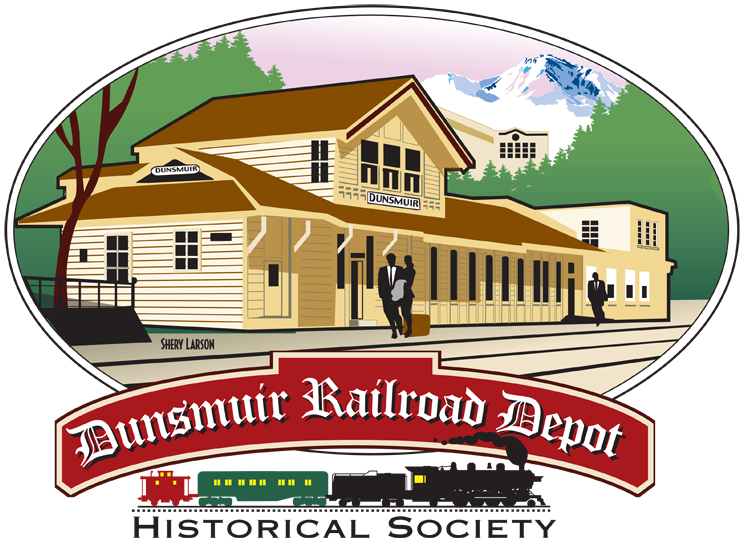 Come on out to the Dunsmuir Depot 10 am -4 pm today to celebrate! For the kids, we have conductor hats, Chuggington coloring books and junior conductor books to give away – all FREE! We’ll also be playing a Chuggington video in our Display Room! 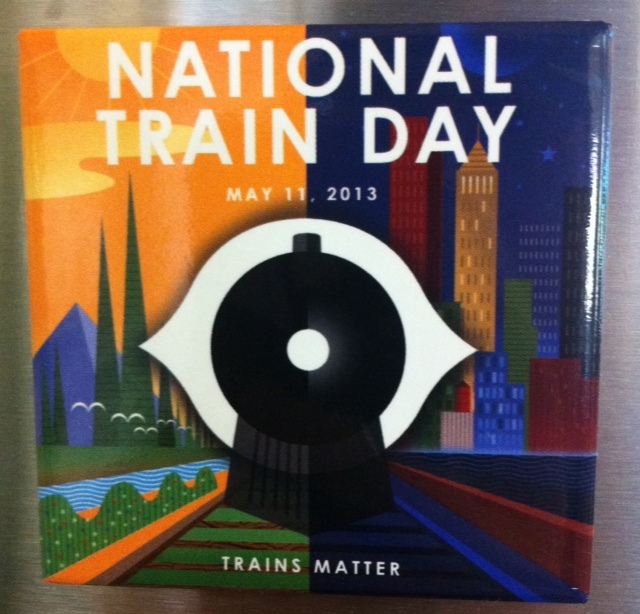 And for the adults, we’ll be giving away Amtrak coupons and 2014 commemorative pins. Here’s a look at last year’s pin… What will it look like this year? Come find out and get your free stuff! To stay current and learn what’s going on at the depot: check out our our Facebook page! Previous Grand Opening a Success! Next The Pie Social is this weekend!